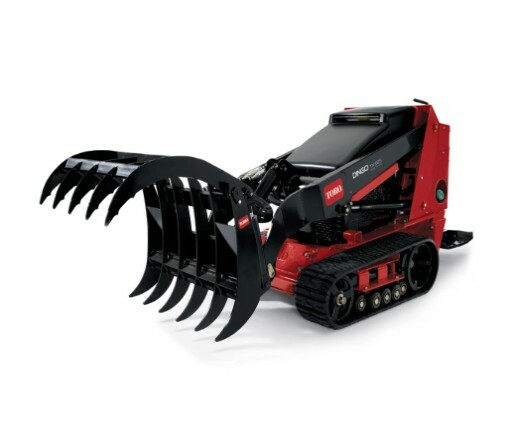 Looking to rent a Grapple Rake attachment for the Toro Dingo in Rochester NY, Ithaca NY and Western New York? The Grapple Rake Attachment is a widely respected Tool Rental item. High quality engineering results in an extremely powerful grapple. Powered by two maximum duty hydraulic cylinders. Notable 34.5 inch width enables access to confined areas. Excellent construction of tines with 3/8 inch heavy-duty steal. Tines are spaced every 7 inches at the top and every 6.25 inches at the bottom.